When we think of spiders we usually think 8 legs and webs. They are probably one of the most disliked and feared creatures in Australia. There are hundreds of different species of spider. Some make webs, some don’t. Some are harmful to humans, some are not. The 5 main ones that people experience in their homes/yards in the Illawarra are the Black House Spider, Redback, Whitetip, Funnel Web and the Huntsman. Redbacks are black in colour with a distinctive red stripe down its abdomen. The female of the species is larger than the male and is highly dangerous whilst the male will not bite. 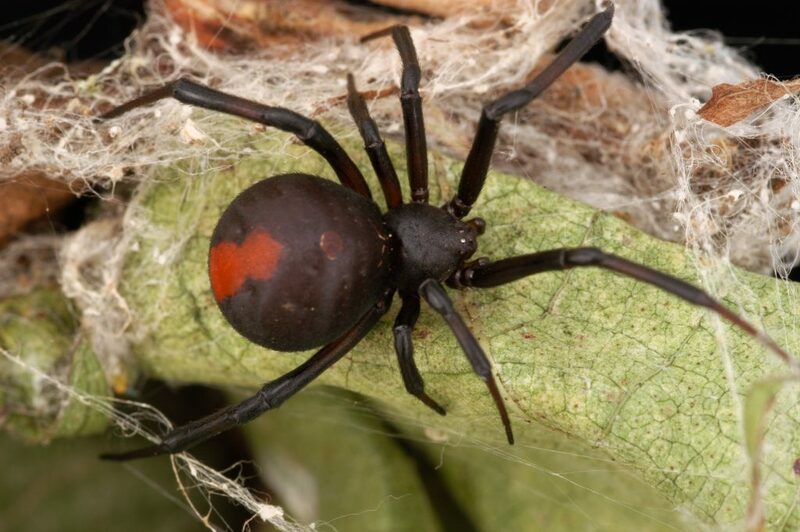 Found in all parts of Australia, Redbacks can be found in sheltered dry areas like sheds, logs, trash and toilets. They can also make homes on your fences or any furniture or toys left outside for long periods of time so please check these regularly. They are a web spinning spider and do not usually venture too far from its web so, to stay safe, stay clear of any webs. Whilst bites can be very painful, nobody has died from the poison of a Redback since the development of anti venom. If bitten, apply an ice pack to the affected area and seek medical assistance immediately. Reddish Grey in colour, the whitetip is mainly found in Southeast Australia. It can often be found outdoors, amongst the leaf litter and beneath logs and bark and will usually feast on other spiders. Whitetips can often make their way inside your home, especially in shoes or washing so be careful if putting on a pair of shoes that haven’t been worn in a while! Bites are painful and will cause redness and swelling. If bitten by a Whitetip you should see a Doctor immediately as, in a few sensitive specific people, it can also cause tissue necrosis and ulcers. 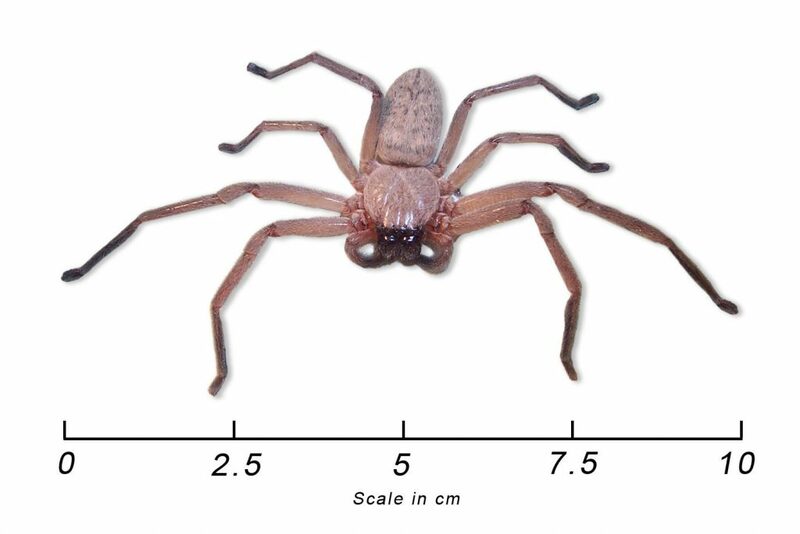 Huntsman Spiders can grow to be quite large (around 40mm) and do tend to scare people as they can look a lot like Tarantulas…..and they can move VERY quickly. However, they are not regarded as dangerous and will usually only bite in defence or to protect its young. They are actually quite handy to have around as they are very good predators of other small insects and clean up many unwanted ones including cockroaches and white-tailed spiders, which are actually much more dangerous than themselves. If bitten, it can cause localised swelling and redness and sometimes nausea, headaches, vomiting and irregular pulse rate. Treat by placing an ice pack on affected area. Bites rarely require hospitalisation and have never been known to cause necrosis. 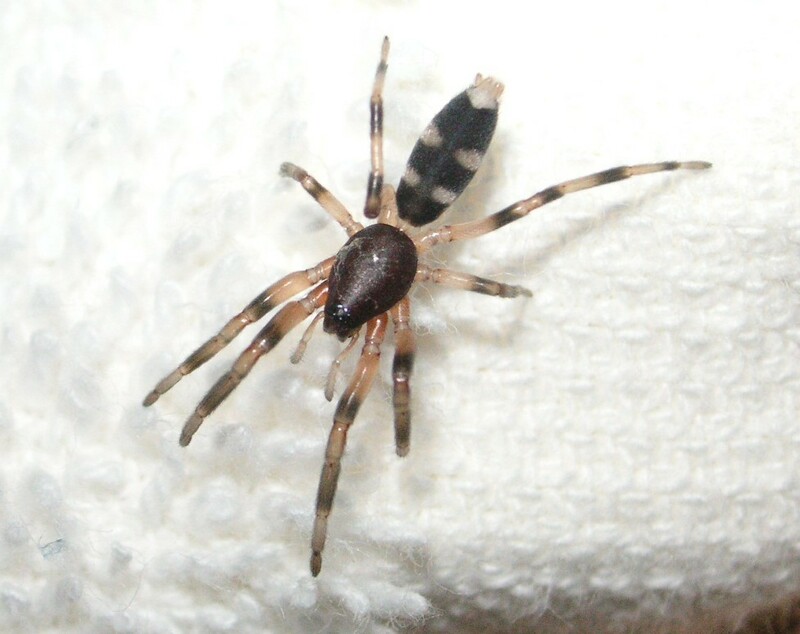 This black, or dark brown spider, can be identified by the lighter markings on its body. Also referred to as the window spider, this web spinning spider can be found concealed in wall crevices and undisturbed corners. Outside it can often be found on tree trunks or beneath logs and bark. The webs of Black House Spiders have a ‘funnel-like’ shape, which can be mistaken as a Funnel-web Spider web. However, the two spiders are not at all similar in appearance or size. 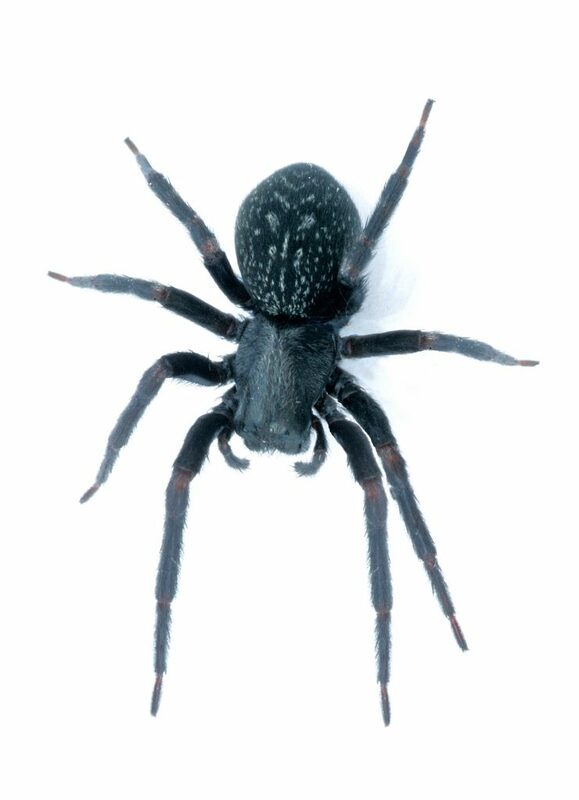 The Black House Spider is not an aggressive species but, when a bite does occur, it can often be painful. Local swelling can occur as well as symptoms such as nausea, vomiting, sweating and giddiness. In a few cases skin lesions have developed after multiple bites. An ice pack should be applied to aid swelling but if above symptoms persist, seek medical assistance. 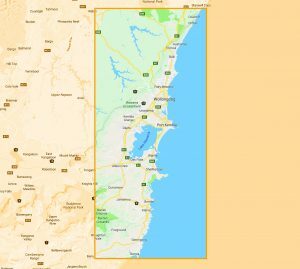 The most dangerous spider we find in Australia, they can be found in Sydney, extending North to the Central Coast and south to the Illawarra region and west to the Blue Mountains. Sydney Funnel Webs burrow in sheltered habitats where they can find a moist and humid climate. This includes under rocks and logs or holes in rough barked trees. Female Funnel Webs spend most of their time in their burrows awaiting prey. Insects, lizards or frogs will walk across the spiders trip lines outside the burrow, alerting her and she will rush out and subdue her prey by injecting it with venom. A female reaches maturity at 5 years of age and can live for several years. She can produce up to to 100 eggs at a time which she will keep in her burrow until they hatch. Male Funnel Webs are the most likely to be encountered on your property as they will wander into your backyard and home during the warmer months looking for females to mate with. They can often be found in swimming pools where caution should still be maintained as they can survive upto 24 hours by trapping air bubbles on hairs around their abdomen. A male reaches maturity at 4 years of age and would naturally die 6-8 months later. However, they will usually die after mating. Funnel Webs seek cover during the day as the warmer weather will de-hydrate them. They are mainly active at night and after heavy rain as their burrows may be flooded. 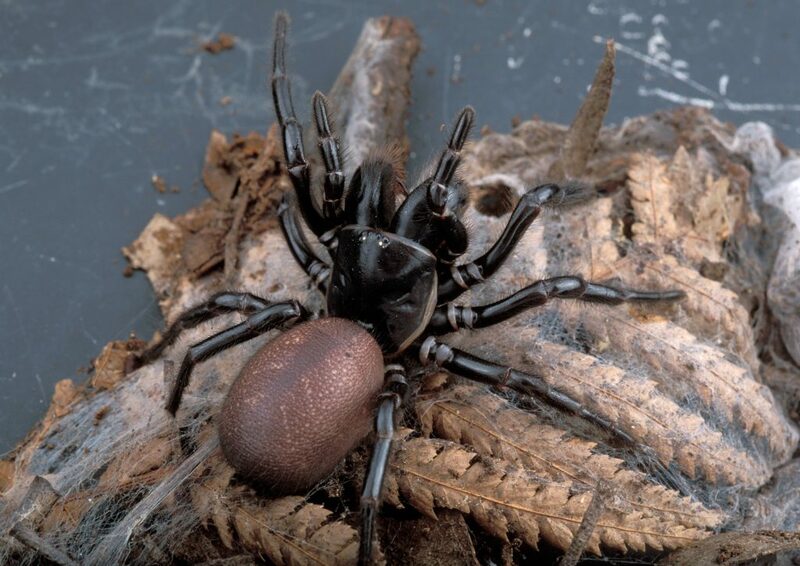 Funnel Web spiders will display aggressive behaviour when threatened or provoked. They will rear up on their hind legs and display their fangs. If they bite, they will maintain a tight grip on their victim, often biting repeatedly. Webbing spiders, ie redbacks and black house spiders, will be the ones mostly affected by treatment as the web can be sighted and therefore sprayed directly, usually spraying the spider too. Unfortunately nomadic spiders such as Huntsmen, Funnel Webs and Whitetips do not create webs. They roam around, hunting their prey. As this means they tend to be hidden from sight, they cannot be sprayed directly with the insecticide. Since spiders are only affected when insecticide is absorbed through their body surface, if they are not sprayed directly then they are free to continue roaming after treatment has been put down. There is no “barrier system” to stop spiders from entering your home but spider control will interrupt breeding cycles and keep them at bay for a while. 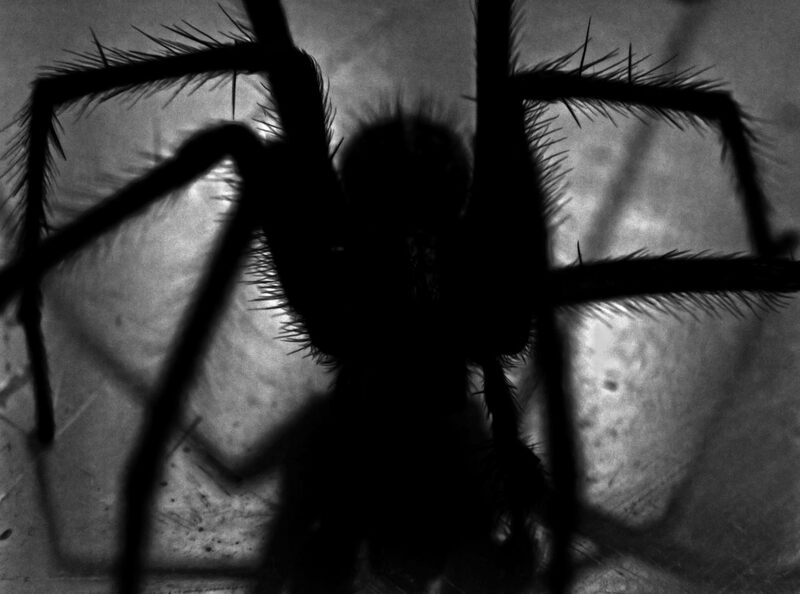 What treatment can Ark Pest provide for spiders? When we come and do a treatment, every room will get sprayed with insecticide. Spray goes down low around the skirting area. That said, if we see webs inside then they too will get sprayed. DO NOT CLEAR AWAY WEBS BEFORE WE VISIT AS THIS AIDS US TREATING YOUR SPIDER PROBLEM. LEAVE IN PLACE FOR AT LEAST A WEEK AFTER TREATMENT TOO, TO ALLOW TREATMENT TO FULLY WORK. We also blow pesticide dust into the roof void and any sub floor you have. Outside we again spray the perimeter of your home, eaves, verandahs etc paying special attention to webs and other harbourage we can see. We also spray the perimeter of your fence line and any garages/out houses you have. Whilst we cannot give a full guarantee of complete eradication of spiders within your home and yard, we do offer a 3 month warranty so, if in that time, you are not happy with the outcome of your treatment then we will come back…….no questions asked.